Home › Home and Kitchen › Stainless Steel Garlic Rocker With Silicone Peeler To Press Crush & Mince Clo.. 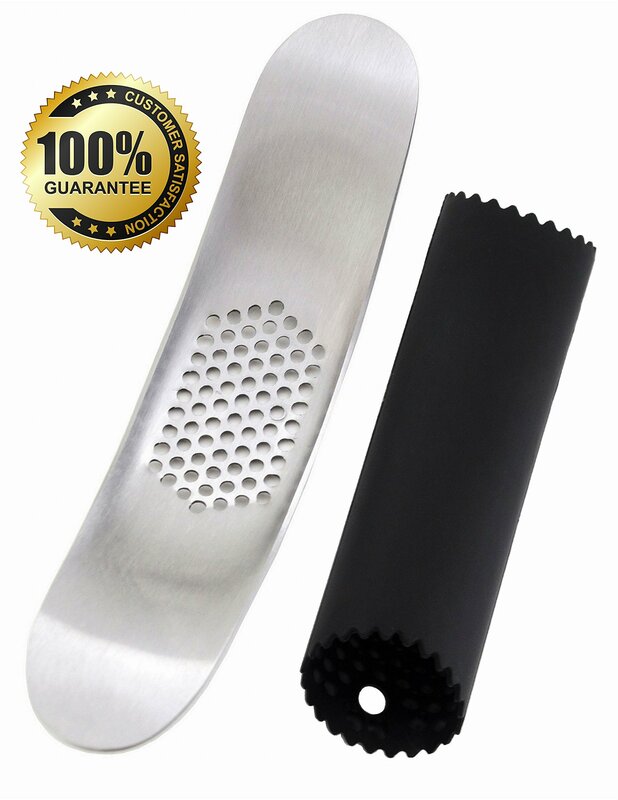 Stainless Steel Garlic Rocker With Silicone Peeler To Press Crush & Mince Clo..
EASY TO CLEAN & DURABLE- These utensils can be washed in dishwasher or sink. USE GADGETS TO HELP - Use the peeler and rocker combo set to mince garlic gloves for better tasting meals every time. 100% LIFETIME MONEY BACK GUARANTEE - We stand behind all of our products, no questions asked. BONUS DELICIOUS GARLIC RECIPES E-BOOK INCLUDED If you love garlic like I do, you will appreciate learning about these new recipes you can make with the help of this amazing e-book that will cover a bunch of recipes perfect for any cook, chef or mom or dad looking to cook a nice meal for you or your loved ones! Omecore Stainless Steel Garlic Rocker and Silicone Garlic Peeler Set Included with your purchase: 1 Stainless Steel Garlic Rocker 1 Silicone Garlic Peeler 1 E-book with Delicious Garlic Recipes 100% Lifetime Money Back Guarantee Features and Benefits: Stainless steel construction (highest grade) for the garlic rocker FDA quality materials for both items Easy to clean (dishwasher safe) Makes mincing garlic a breeze! Perfect addition to any kitchen Speed up process of cutting up garlic HOW TO USE THESE KITCHEN GADGETS: Simply place the unpeeled clove into the peeler tube Apply pressure and roll back and forth. This will peel the garlic and keep your hands clean and free from the garlic order To crush the garlic: Place the unpeeled garlic under the garlic rocker Press down on both ends of the rocker Rock from one end to the next applying downward pressure on both ends of the garlic press to crush the garlic. This will give you nicely crushed garlic for your recipes. Great stocking stuffers gift for the kitchen Click on the Add to Cart button now to get the best set of garlic gadgetsavailable today from OMECORE!